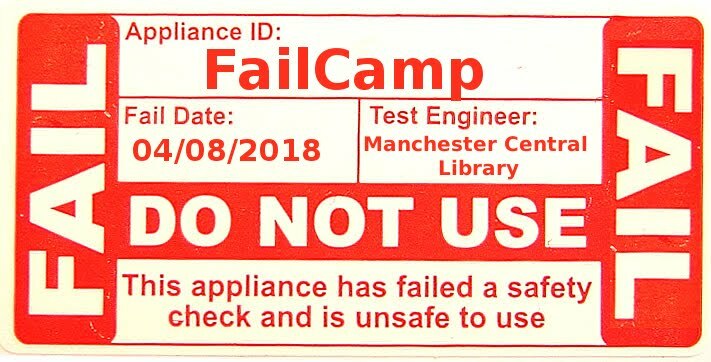 librarycamp: LibraryBox 2.0 and why you need to support it now! LibraryBox 2.0 and why you need to support it now! I got an update from Jason Griffey's LibraryBox 2.0 Kickstarter campaign on Sunday morning - it's now at the half way point of the campaign and they need to reach $30,000 with 15 days left. LibraryBox is a library-oriented version of the PirateBox project - a little, self-contained wireless router with on-board storage that you fill up with freely usable library materials and bring with you so that wherever you go, you can share with the people you meet. AND for only $165 you or your library can have your own LibraryBox! Lots more detail over at librarybox.us. Now get over to Kickstarter and help this campaign reach it's goal. Pledges start at $1 and it takes less than 5 minutes. We're supporting this project at Librarycamp Towers because we can see tonnes of benefits for our library communities and our unconferences. Sue wants to hack an ex-motability scooter and ride around Manchester distributing free ebooks and Penny is planning some exciting educational projects. What could you do?! Work on a library mobile with no Internet? Not any more! Fill your LibraryBox with free ebooks and distribute on your travels. You can set up your own free ebook hub on your mobile library van/bus/rickshaw. Jason has even super kindly provided a ready made bundle of public domain works for you to download and start sharing via your LibraryBox. Delight and surprise visitors by setting up a librarybox in your library building or at a historical site offering archive photos, videos, original documents and historical resources to bring the space alive with memories from the past. Set up a pop up library or hire a market stall and distribute free ebooks as well as how to join the library guides. Don't forget to remind EVERYONE you are from the library! Running a course or workshop? Use LibraryBox to distribute course resources and materials from your LibraryBox wherever you are - in the classroom, in the park or in the pub! If you are sharing a presentation but don't have much time take along your LibraryBox and fill it with up with ALL THE THINGS about your project for people to download and read later. Likewise, if you are running or attending an unconference with flaky wifi, use the LibraryBox to share all your information without worrying about the inevitable conference wifi crashes. I'm sure you have better suggestions. Please do add them in the comments.